ScienceGirls forms part of the Commission’s Science Learning Innovation Agenda, contributing through its gender-sensitive approaches to the practical experimentation of building new directions for science learning and engagement, and developing attractive practical guidance for secondary schools across Europe. Furness Academy is a secondary school at the heart of the community in Barrow-in-Furness, Cumbria. In September 2013 we opened our new £22 million building. This is a fantastic environment for students to learn in, offering them state of the art equipment and facilities to enhance their education. At Furness Academy, learning is at the heart of what we do. We are confident Furness Academy provides a welcoming and safe environment for all children. Our core values of respect, responsibility and relationships underpin all our efforts to ensure that all students have the greatest opportunity to achieve their best. These core values are shown each day in the way we communicate with one another, how we teach our students and importantly, how we encourage our students in their learning. We want our students to leave Furness Academy as confident learners with the skills, knowledge and qualifications that they need to succeed in the 21st century and contribute to their community and be active global citizens. At Furness Academy, we are proud of our place at the heart of the Barrow Community. Our main aim is to aspire together, work together and achieve together so that our children can accomplish all of their goals. We believe that by working together we give our students the best opportunity to become the best they can be. Furness Academy also has the privilege of being located just 20 minutes south of the Lake District. Our town and local area is surrounded by beautiful scenery from high mountains to sandy beaches. Our community and charity links are incredible strong and we are proudly expanding our links across Europe as we begin our work with our European project partners. Ștefan cel Mare University of Suceava (USV) is one of the fastest rising universities in the Eastern European region providing higher education of high quality standards at a relatively low cost. It is one of the very few universities in this region with a comprehensive curriculum including more than 100 programs at undergraduate, master, doctoral and post-doctoral level from all five faculty areas (Arts & Humanities,Engineering & IT, Life Sciences, Natural Sciences and Social Sciences). A unique educational outpost that goes back nearly half a century, USV’s transnational platform is aimed at discovering, preserving and disseminating knowledge while promoting basic European principles, such as unity through diversity, in an area where the credibility and identity of the European Union needs to be strengthened and further increased. Located in the beautiful and multicultural land of Bukovina, USV is surrounded by the greatest density of UNESCO monuments from this part of Europe, precious art monuments, great spiritual life and rich folklore traditions offering its students great opportunities for extra-curriculum activities. What also stands out is USV’s ability to sustain regional development at national level within the North-Eastern area, as well as at transnational level through Ukraine and Republic of Moldova close partnerships. USV is a Romanian institution of higher education situated at the confluence of important European cultures and civilizations. Its mission is to preserve and foster cultural diversity, to strengthen the relations with the Romanians across the border by encouraging new bilateral agreements and partnerships with universities from the European Union, as well as with non-EU institutions of higher education from Eastern Europe. When presenting our organisation, three different levels are to be taken into account: 1. The main institution of the Universitat Politècnica de Catalunya (UPC); 2. The EXPLORATORI of natural resources; 3. The Guillem de Berguedà Secondary School: 1. The Universitat Politècnica de Catalunya (UPC) is a public institution dedicated to higher education and research, specialized in the fields of engineering, architecture and science (31.224 students, 21 Schools). The activity that goes on at UPC campuses and schools has made the University a benchmark institution. The University harnesses the potential of basic and applied research, and transfers technology and knowledge to society. These actions make the UPC—in partnership with the productive fabric—an agent and driver of economic and social change. Today, the UPC is characterized by a purposefully open stance towards international students, a wide selection of master’s degree programs in English, with more than 2.000 foreign students from all over the world enrolling each year. 2. The “EXPLORATORI” is a project from the UPC. The main objective of the project is to bring science closer to secondary school students, their teachers and the society in general. To achieve this goal, the “EXPLORATORI” organizes activities related to scientific and technological topics in line with the STEAM education model (Science, Technology, Engineering, Art/All and Mathematics). 3. The Guillem de Berguedà is a Secondary School founded in 1975. Nowadays there are 600 students and a staff of 60 teachers who teach Compulsory Secondary Education, A-Level, Vocational Training, Adult Education and Languages. It is located in Berga, a little town near the Pyrenees situated 50 km from Manresa and 100 km from Barcelona. Our Science Girls are 14 years old and they are in the 3rd Level of Compulsory Secondary Education. Guillem de Berguedà Secondary School in Berga has always been receptive to different institutions and universities. The institution has been operating for forty years now and it is a flagship school in Berguedà region. Not only does our school teach secondary education from 12 to 18-year-olds, but prepares students to sit the European Baccalaureate and teaches vocational training programs on Nursery and People caring. The school has been a practice partner in several projects through formal collaboration with the UPC, enabling the students team to participate in the Science Girls mobility, hosted by the UPC in Catalonia. Given that the school has a pioneering approach, it also collaborates with the UPC on research projects dealing with water and energy with secondary students in compulsory education (second stage) and students preparing to sit the European Baccalaureate. Therefore, students have the opportunity to see exhibitions displayed at high school and to attend educational talks and outings in Catalonia and France organised by the EXPLORATORI. Should it be noted students show great interest in these events. 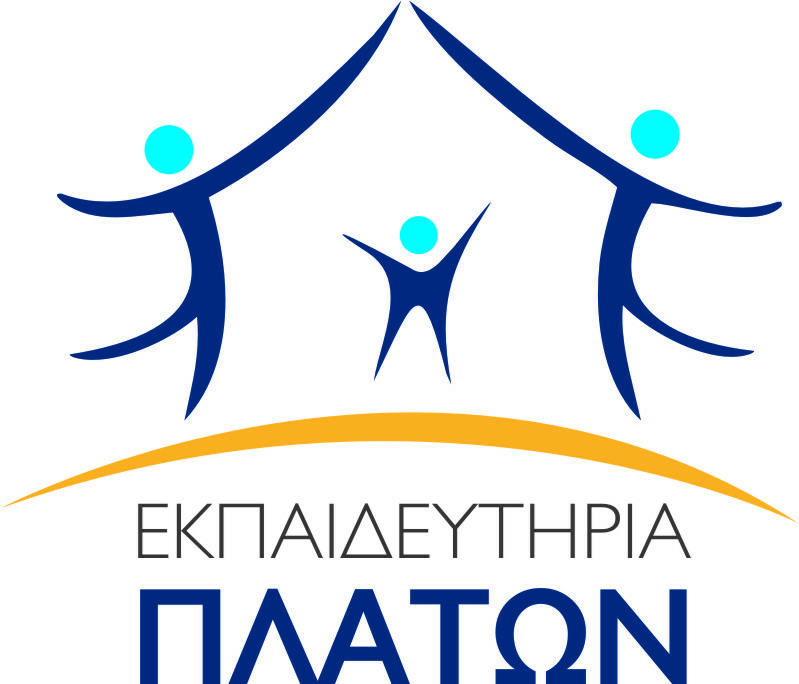 Platon School of Katerini has been active in the field of education since 1997. In 2013, moved to privately-owned modern and bioclimatic facilities of 4.000 s.m. on a 14.000 s.m. plot in the Ganochora area, north of the Municipality of Katerini in the prefecture of Pieria and about 3 km from the city center. Platon school has many departments such us, nursery- kindergarten, primary, secondary, Lifelong Learning Center, European projects, Restaurant – Canteen and Transportation. During the year 2017-2018 had approximately 550 pupils. The school has participated in a lot of National educational and environmental projects and more than 60 European educational and training projects (this year running 19 projects). There is close cooperation with Aristotle University, Macedonian University and Technical University of Central Macedonia and also cooperation under European projects with many educational institutions (Schools, Universities, Research Institutes, Training organizations). The school has also won many awards like 1st Prize at the International conference of EDEN “Innovation in Education” (2009), Award of the Ministry of Education for “Excellence and Innovation in Education” (2010) and many more. - Technology of wooden Field. We have 129 staff.1250 students are continuing to their education, 180 students are graduated every year.The students are between 14-19 age. After graduation, they also have a chance if they want to go on studying as university students. Modular training system is being implemented in our school 10 years. The school also provides night vocational education for adult and young people. At the same time also organizes vocational courses in different fields. (19 age and over ). Furniture and metal sections works for Revolvig fund. At nights and weekends our wooden and metal tecnology areas product materials like desks, tables, teacher desks that come from Turkish National Education Ministry. %15 of our students and teachers have relatives still living in European countries. Our school is preparing the EU project since 2006. Istituto Comprensivo Panicale - Piegaro - Paciano is in Umbria, a region in central Italy. Umbria is regarded as the green heart of Italy for its green landscapes and hills and it’s well known for its historic towns. Our Istituto Comprensivo includes seven schools located in three small towns: Panicale, Tavernelle and Paciano. They are not far away from Perugia, the regional capital of Umbria, and from Lake Trasimeno, which is one of the largest lakes in Italy. We have three Nursery Schools (3 years, pupils aged 3 to 6) , two Primary Schools (5 years, pupils aged 6 to 11) and two Secondary Schools (3 years , students aged 11 to 14) . We work together to ensure that our students acquire the key competences which all individuals need for personal fulfilment and development, active citizenship, social inclusion and employment. Kranj School Centre for Technical Sciences is a school with a long tradition. In 2016 our school celebrated the 70th anniversary of its foundation. The Slovene Ministry of Industry founded the Mechanical Factory in Kranj in 1946, and in March of the same year, the Factory took the name of ISKRA. In 1951, a school with the capacity for 300 pupils was built in the close vicinity of the factory, as demands for professionals were constantly on the rise year in year out. The Kranj School Centre was formed by the merge of Technical School Centre Kranj and The Economy and Service School Centre of Kranj, while the former High School of Economics came out as a separate school. Thus, The School Centre continues and combines the rich tradition of secondary education schools of Kranj. In all units, educational work takes place in modern lecture halls, classrooms, laboratories and workshops. All employees are committed to act in the spirit of user-friendly educational institutions. The School Centre has signed agreements with more than 300 companies and organizations where pupils and students can perform practical training. Throughout history, adult education has been carried out in parallel with the regular education of young students. Content and programs have been bound to the programs of regular education and skills needed in the companies of the region. The Centre, however, is not just about studying. It also offers many opportunities to get involved in a wide range of activities in addition to those linked with our main teaching programmes. These include sports, outdoor activities, or various short courses such as foreign languages or IT. Our students also participate in national competitions and have won awards in many different fields, which include various regional and national competitions, awards for various projects and research work, and the Slovenian Literature Award. Regional research work competitions are organised by the school centre every year. 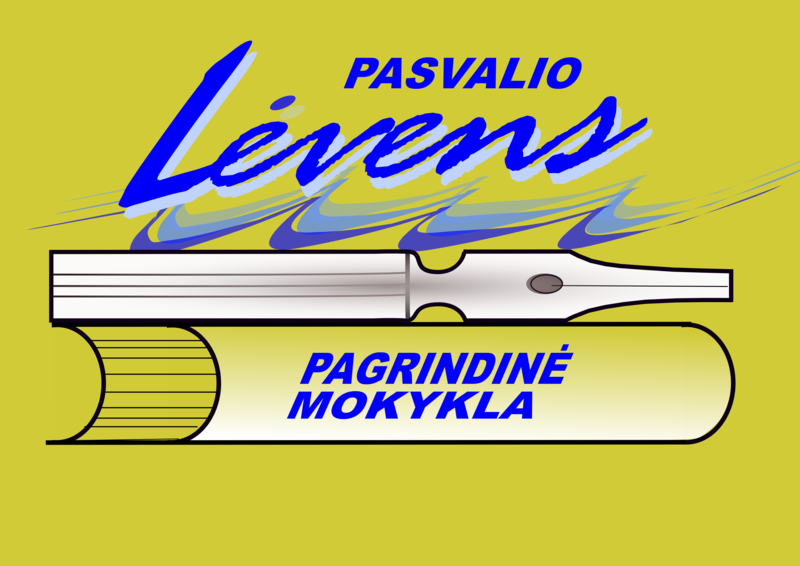 Pasvalys Lėvens basic school is situated in the beautiful place by the river Levuo not far from the centre of the town Pasvalys which is in the North of Lithuania. Children from the town and district attend the school. There are 13 class groups of pupils aged 7-15- 302 students altogether. There are 40 teachers working full time. Our teachers are educated to work as pedagogues and educators. Pupils of our school are of different origins, backgrounds and statuses. Some of the pupils come from broken or single-parent families. We have also integrated some pupils with special needs (low intellect, hyperactive) which makes our work challenging and obliges to search for the ways to make their life better. In our school we have been working under the special educational plan which is integrated to be suitable for all kinds of pupils to satisfy their needs. We are the school of healthy living ideas and good traditions. We think the more children are busy after school with extracurricular activities, the less time they will spend with bad companies. We offer our pupils a great variety of clubs and circles to choose from after school. Our pupils have been taking part in various competitions and events concerning sports, singing, healthy living and education. Our pupils have won many National and local awards: medals, cups, prizes, diplomas. Though we have done much and achieved many good results, we still think we need more experience in using modern methods to give best to our children. For us it is very important to take part in European school projects as they initiate the search for other approaches, we can learn from other partners‘ experience and their methods of work and education. We primarily work in such programs as Erasmus+, Horizon and EaSI. WwEU works in collaborative projects addressing very different forms of innovation, but the core capacity and expertise of the association and its professionals is to design and implement quality programs in projects. Alongside the collaborative European activities, the association delivers capacity building training to organisations that wish to be able to act independently on the European scene - creating applications, implementing projects and participating actively in European innovation.